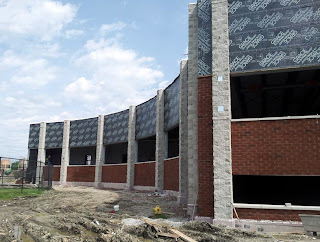 Tony Bettenhausen Recreation Center, Pool & Fitness Addition in Tinley Park, IL. Construction is well underway for this 30,000 square foot recreation center addition. As a main feature of the addition, the pool area will feature a soaring curved roof and generous natural light.